Just when I think there is nothing new to be said about fiction, Ben Percy comes along with an errata slip to the contrary. This entertaining collection offers helpful guidance on creating memorable set pieces, designing suspense, handling violence, including or abandoning backstory, and keeping the momentum going. References come not just from books, but film, television, and Percy’s own life. His enthusiasm is contagious! I love the idea of Percy and Rick Bass spotting the germ of an idea, and instead of fighting over it, they decide to race for it. 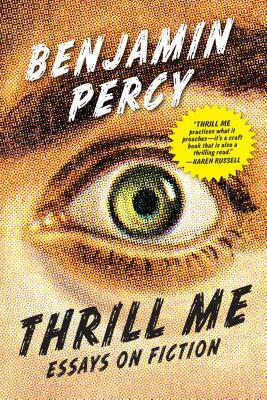 Benjamin Percy is the author of three novels, most recently The Dead Lands, as well as two books of short stories. His honors include an NEA Fellowship, the Whiting Writers' Award, two Pushcart Prizes, and the Plimpton Prize.